With so much happening in Seattle's bustling music scene these days, how do you even know where to start? Allow the highly trained culture curators of Seattlemag.com to help with Band of the Week. This week, we catch up with Bad Luck, an avant garde jazz duo known for its near-omnipotence on the scene, from the founding of arts collective Table and Chairs and anchoring the jazz series known as the Racer Sessions, to performances everywhere from the Royal Room to Neumos, where the group plays this Thursday. In three sentences, tell us the story of your band: Neil [Welch] plays the saxophone and Chris [Icasiano] plays drums, but not in the way you'd imagine. We play music to connect with people. We make music for people to feel. Tell us about the new project (themes, inspiration, personnel, release details, etc. ): We met while studying jazz in college, and immediately found common ground in the work of jazz legends like John Coltrane, Keith Jarrett and Peter Brotzmann. The study of this music formed a solid bedrock for us. We could immediately start talking to one another on deeper levels in our work. After a few years navigating a minimalist universe of acoustic drums/saxophone duos, we were both eager to start exploring other musical interests in Bad Luck, such as American folk music, hip-hop, metal and many other genres. We've come to know one another's playing so intimately over these years—the clicks, clacks and chirps—and it remains so exciting to push ourselves artistically from rehearsal to rehearsal and album to album. What does being an artist/musician/band in Seattle mean to you? Right now in our current social and political climate, being a band in Seattle very is a powerful platform. On the surface, it means that we have the opportunity to make powerful, moving music that is part of this great city's musical lineage and that people can connect with. At the core, it means that we are ambassadors of our generation and our music scene. We have the responsibility to use this platform in a way that's empowering, positive, uplifting, and socially and culturally equitable, especially to those who identify as POC, LGBTQ, Muslim, Jewish, and female in a country whose newfound government wants to silence them. What BIG question should we ask, and what's the answer? Q: What kind of musical community is Bad Luck a part of? A: We're so fortunate to be one link in the thriving creative music community here in Seattle. Our friends and collaborators at the avant performance series the Racer Sessions have provided years of musical inspiration to us, and provided opportunities to workshop new ideas for eager listeners. 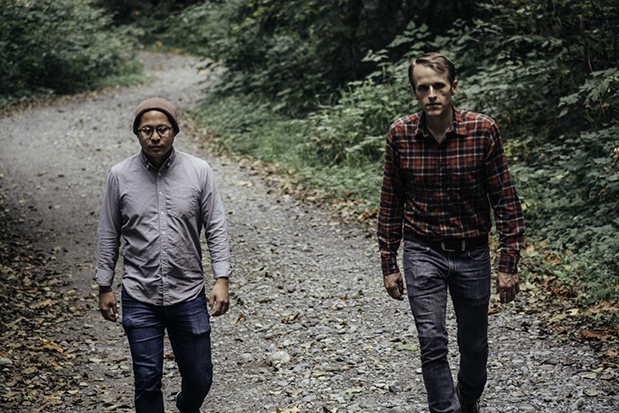 Seattle bands like Diminished Men, Ings, Chemical Clock, Honey Noble and Heatwarmer help us see the potential in ourselves. Our artistic community has never let us down, and we are endlessly thankful for the daily inspiration and support from these amazing folks. What’s next? Hopefully we'll be putting out our next full length album Four sometime next year! We are going to continue pushing the boundaries of our creativity to both challenge and intrigue audiences. We are going to continue to try and be better friends and allies.